This one was a lot of fun. 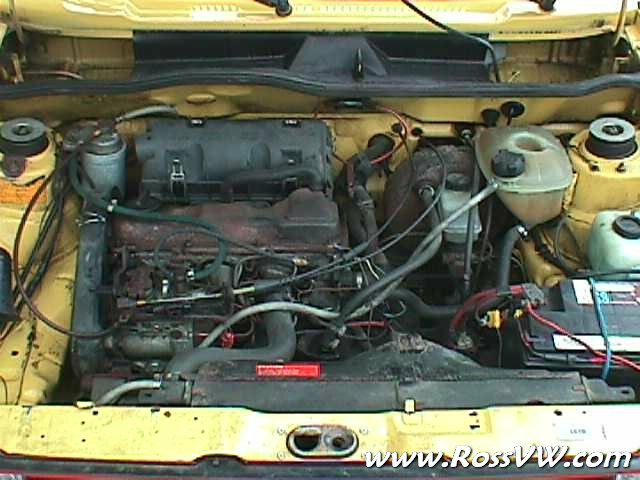 It had an '85 Jetta Diesel Motor and 5-speed transmission. I had completely restored the exterior & interior, and it looked practically brand new. Click here to go back. 7/2007: Found some more pics on an old computer of mine! This Pickup is my pride and joy. I've had it for quite a few years, and have fully restored it. 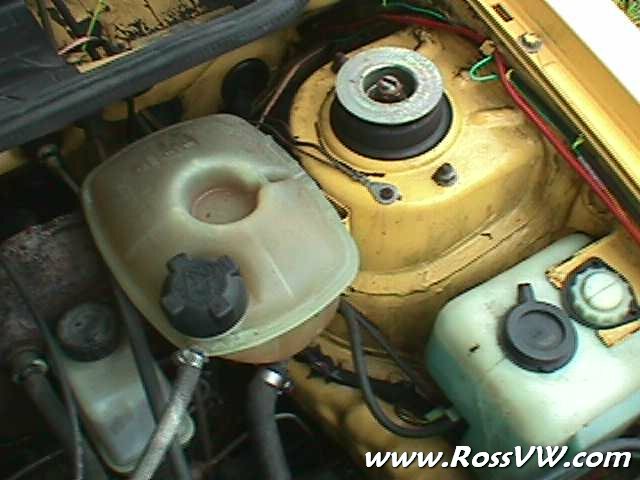 It has a brand new Driver's side floor pan, and a fully restored passenger's side floorpan. 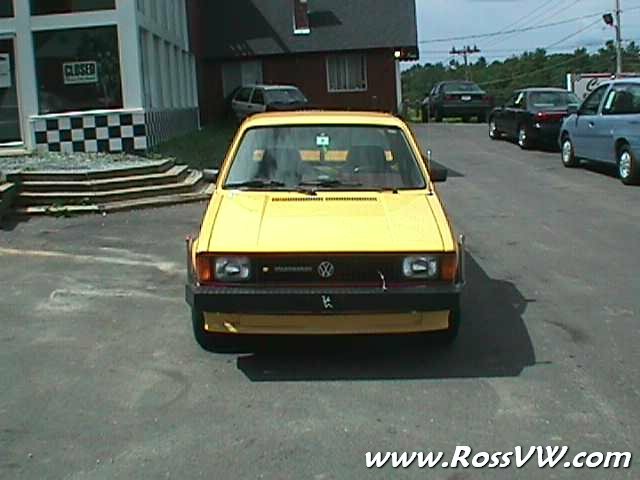 The body has been completely restored and painted the original sunbright yellow. 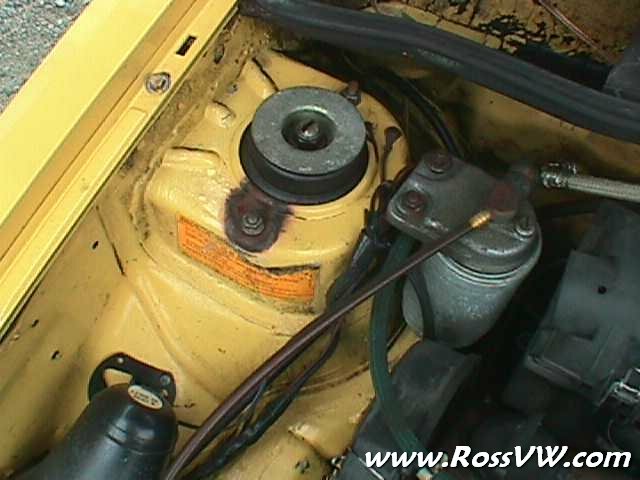 My truck has a 1985 VW Jetta Diesel motor with Block Heater, and Jetta 5-Speed transmission. The interior is BRAND new. 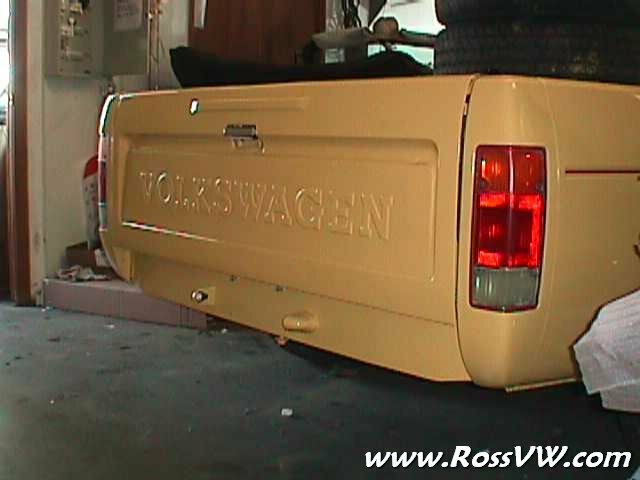 The carpet was die-cut and die-formed for VW pickups. The seats came out of a 1989 Wolfsburg VW Jetta. 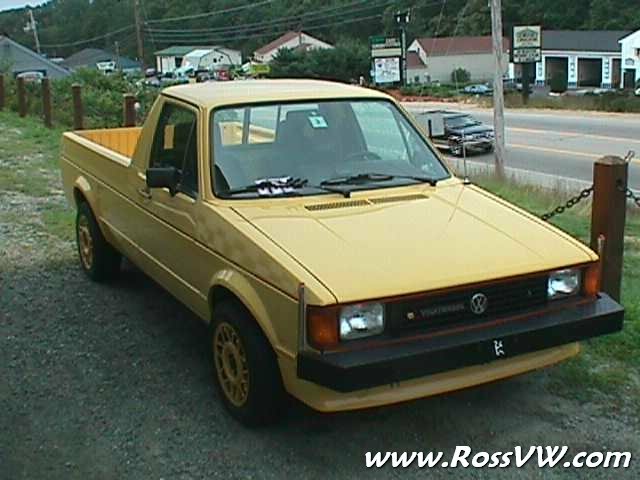 It has GTI 14" wheels, painted the color of the truck. and GTI side-veiw mirrors. The three-spoke steering wheel is from a Scirocco GT. There is a custom Heavy-Duty front Bumper with Pole-lights, and GTI spoiler mounted below it. It has an Alpine CD Player, and Alpine speakers factory mounted in the dash. The dashboard and headliner are near PERFECT. It has a factory installed Sliding rear window. 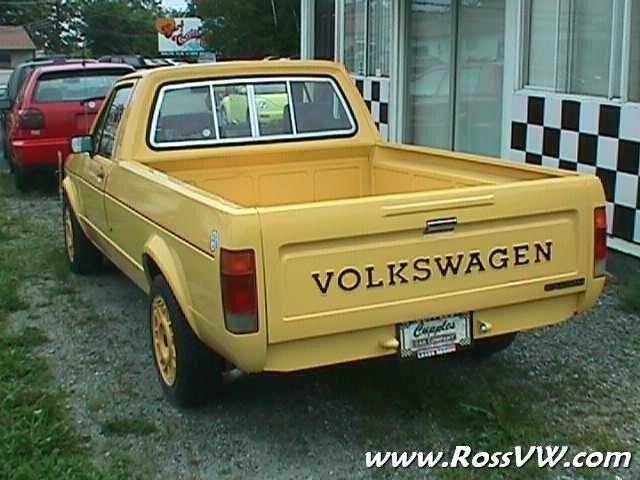 The tailgate WORKS and I purchased the black "VOLKSWAGEN" lettering to finish it off. 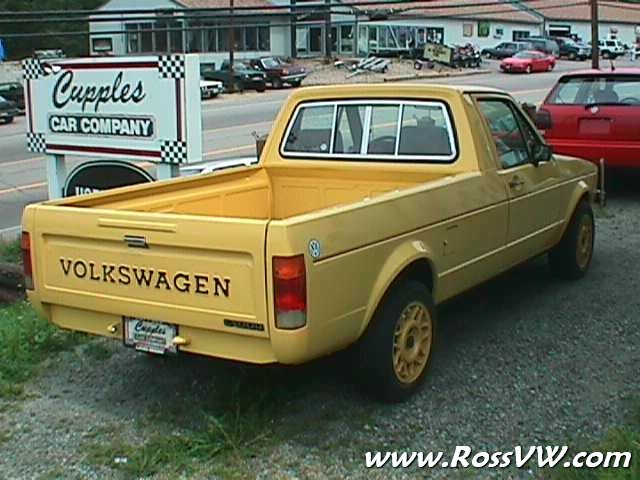 I also have a european "CADDY" logo in the factory position on the tailgate. There is no rust on the Strut towers. I've spent a lot of time and money on this truck, but it is time for me to let her go. I'll be taking a loss, but I hope that my truck will make someone very happy for years to come.